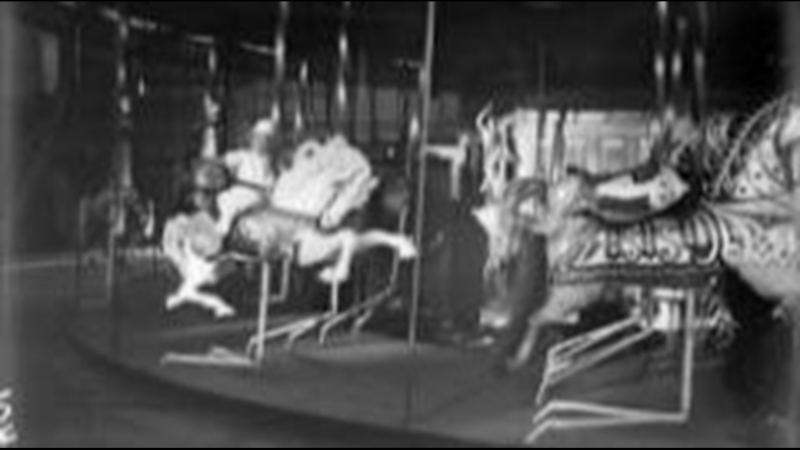 Mary Elizabeth or Harriet Rhoads, daughter of Harry M. Rhoads, rides a horse on a merry-go-round at Lakeside Amusement Park. 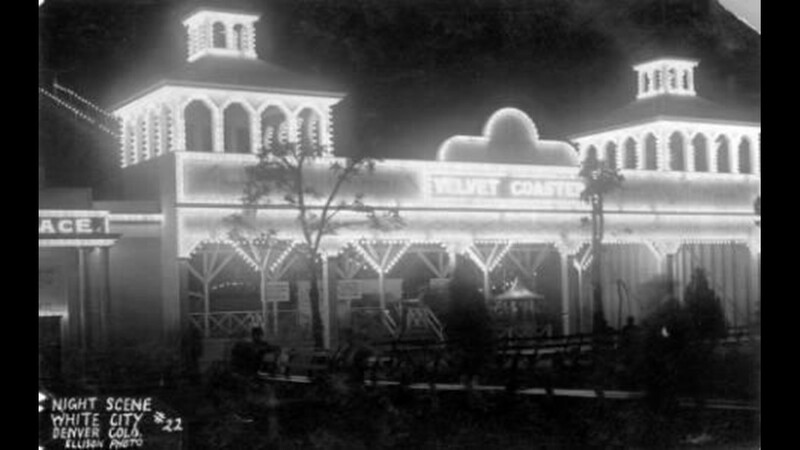 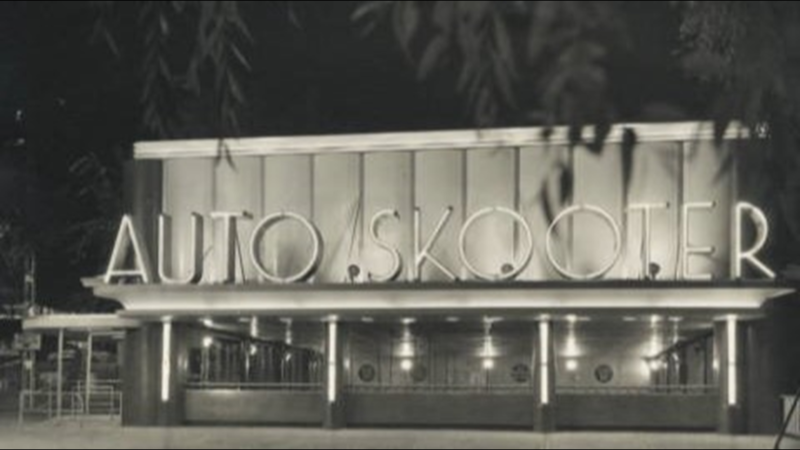 Night view of White City Amusement Park (later called Lakeside) in Lakeside (Jefferson County), Colorado; letters in lights read: "Velvet Coaster." 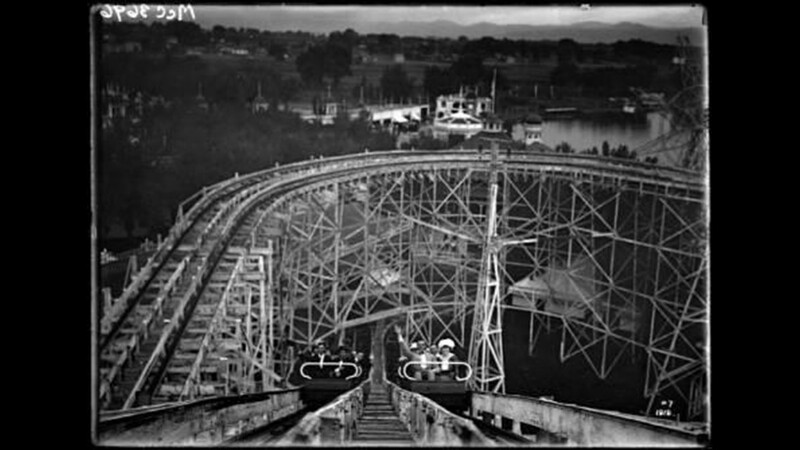 View of riders on a roller-coaster at White City amusement park (later called Lakeside) west of Denver, Colorado; view taken from top of incline looking down at two car-loads of waving riders. 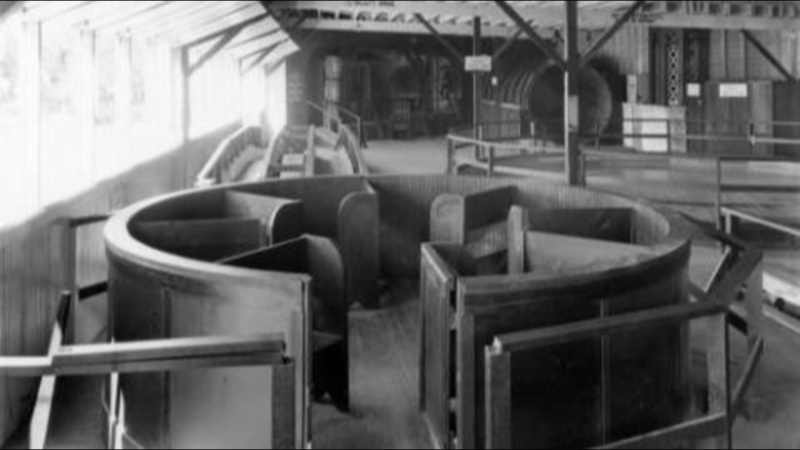 View of a wooden seating platform that is is part of a ride at Lakeside Amusement Park in Lakeside (Jefferson County), Colorado. 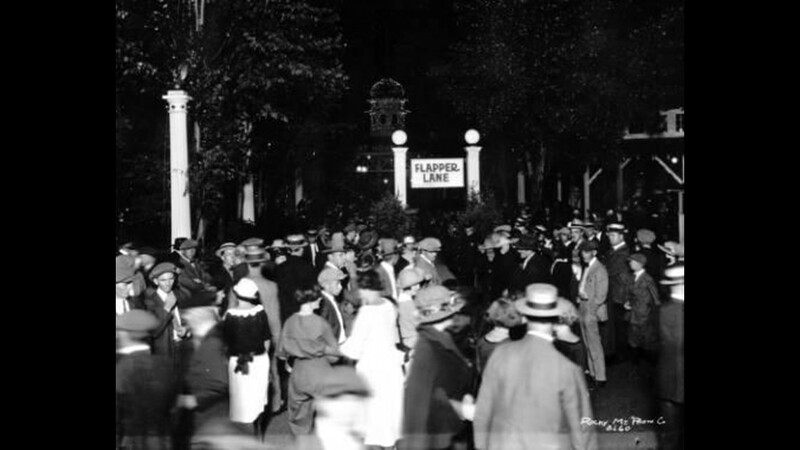 Nighttime view of men and women who crowd around the edge of a sidewalk referred to as "Flapper Lane" at Lakeside Amusement Park in Lakeside (Jefferson County), Colorado. 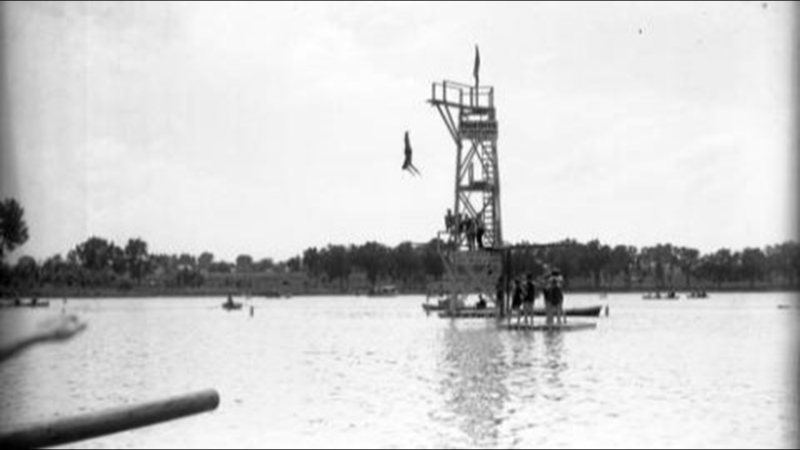 A man dives into Lake Rhoda at Lakeside Amusement Park in Lakeside (Jefferson County), Colorado; people watch from boats and a dock. 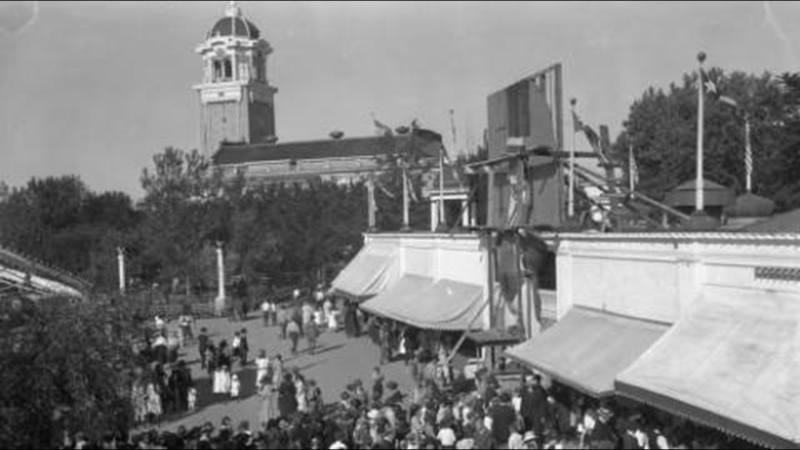 People walk by concession stands at Lakeside Amusement Park in Lakeside (Jefferson County), Colorado. 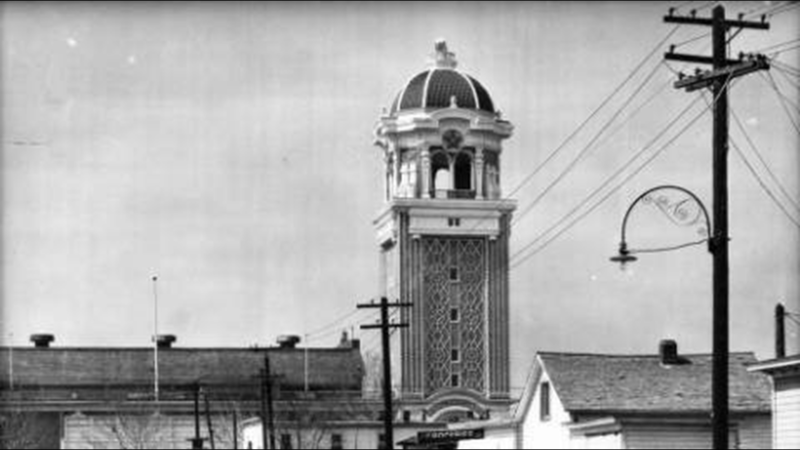 The casino and tower are in the background. 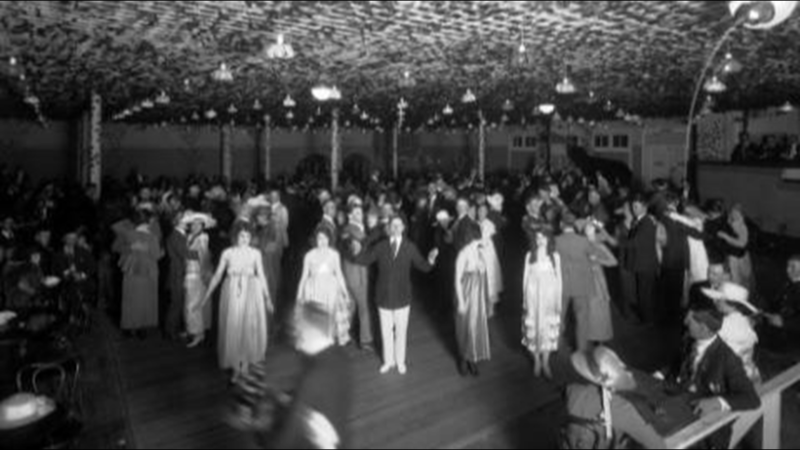 Dancers crowd the floor of the El Patio Ballroom at Lakeside Amusement Park in Lakeside (Jefferson County), Colorado. 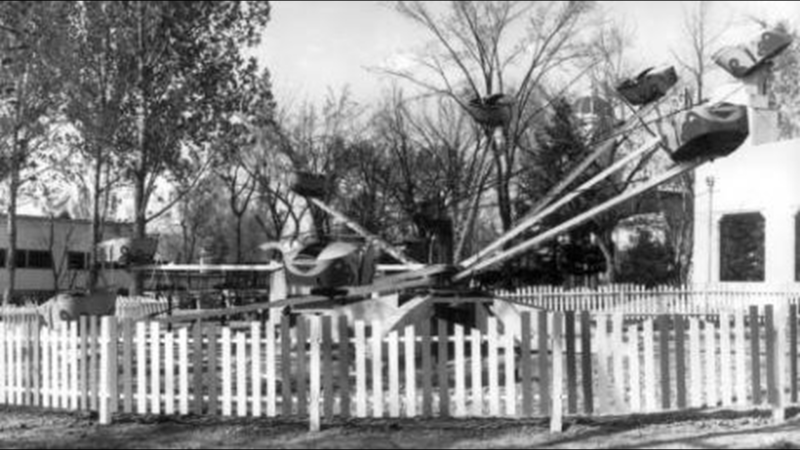 Children pose at Lakeside Amusement Park in Lakeside (Jefferson County), Colorado; adults are in the background. 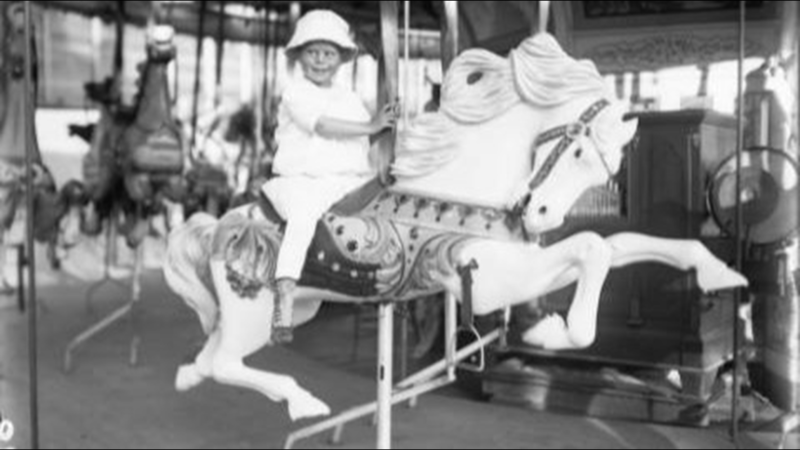 A young girl rides a carousel horse on the merry-go-round at the Lakeside Amusement Park in Denver, Colorado. 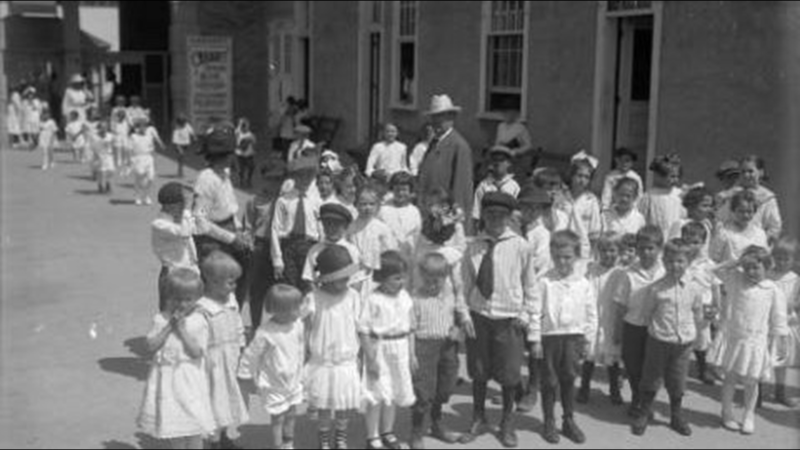 The child wears a white pants and blouse, button shoes, and a hat. 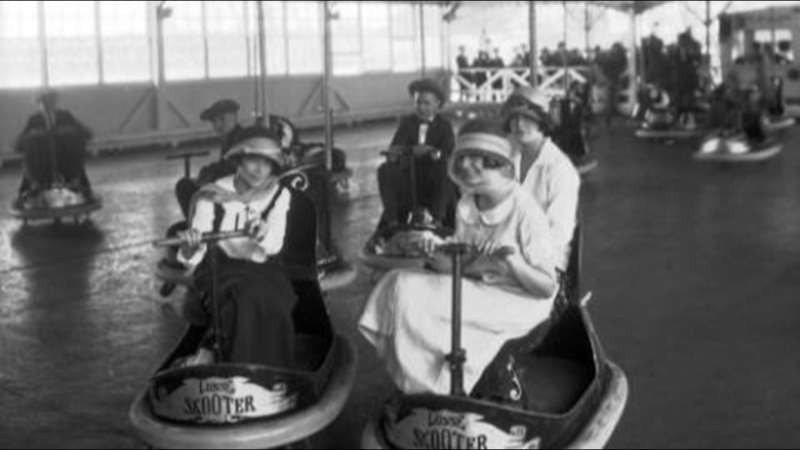 Women ride bumper cars at Lakeside Amusement Park in Lakeside (Jefferson County), Colorado; labels read: "Lusse Skooter." 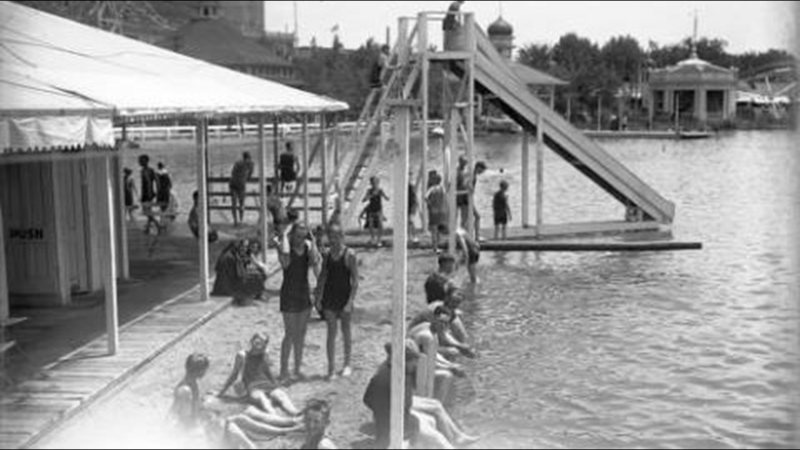 Teenagers sit in sand by Lake Rhoda at Lakeside Amusement Park in Lakeside (Jefferson County), Colorado; others play on the slide. 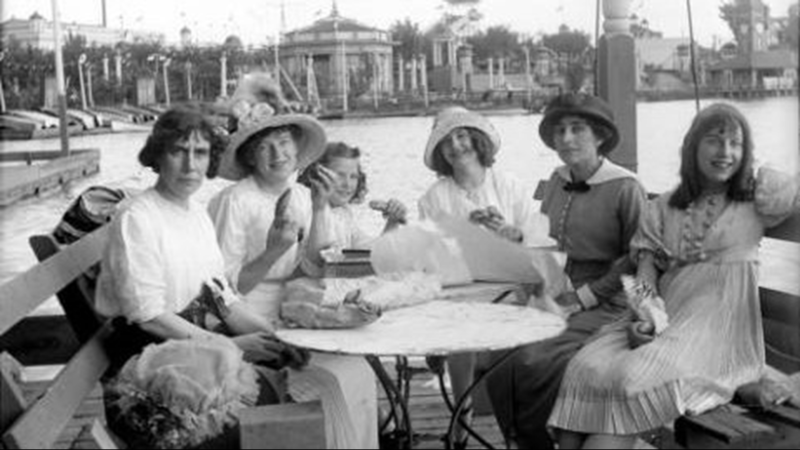 Women and girls smile and pose (one eats a banana) at Lakeside Amusement Park, in Denver, Colorado; costume includes tassels, lace, a locket, and a hat with taffeta and flowers. 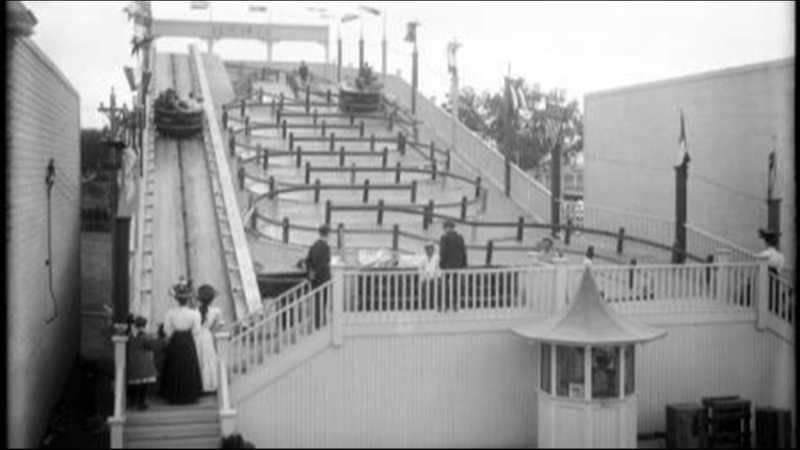 View of a wedding party at Lakeside Park in Lakeside (Jefferson County), Colorado. 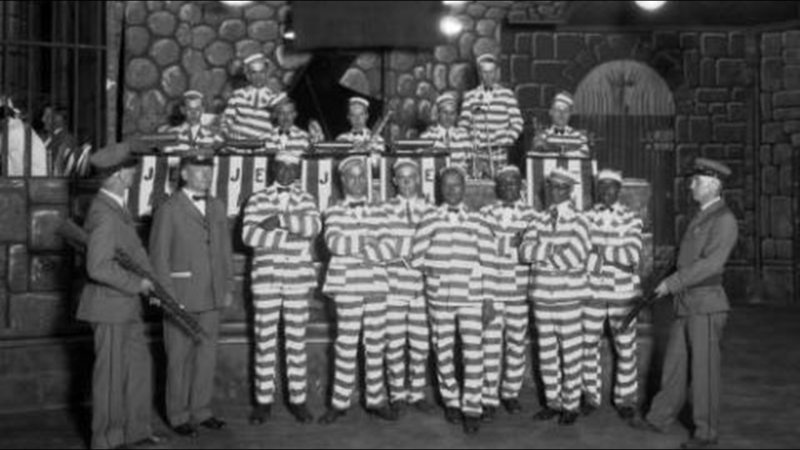 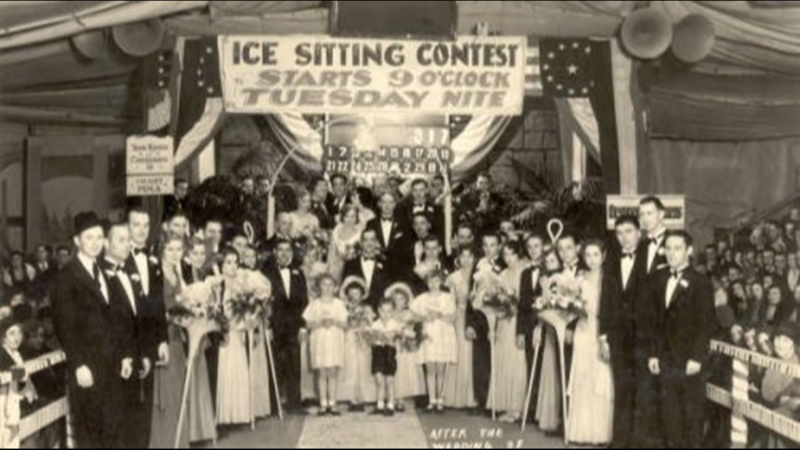 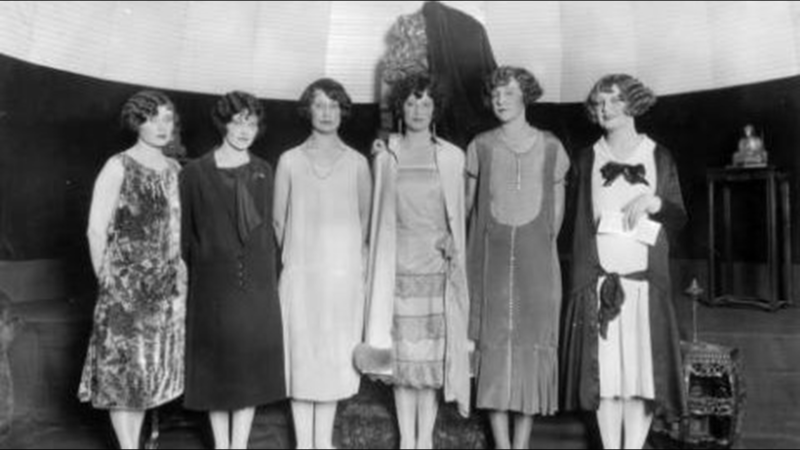 Well dressed men, women, boys and girls pose by signs and banners: "Ice Sitting Contest Starts 9 O'clock Tuesday Nite" and "Your Master of Ceremonies is Henry Polk." 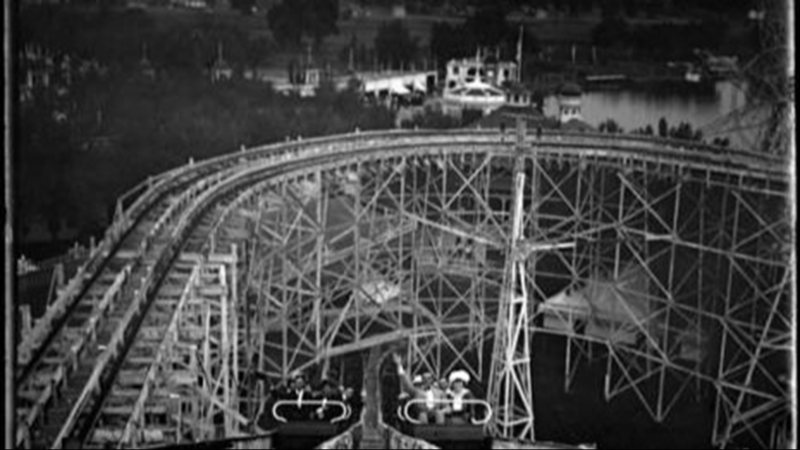 Aerial view of Lakeside Amusement Park in Lakeside (Jefferson County), Colorado. 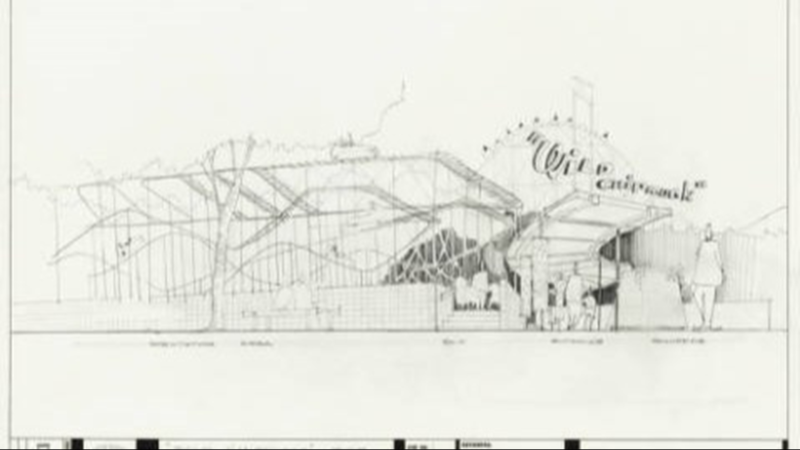 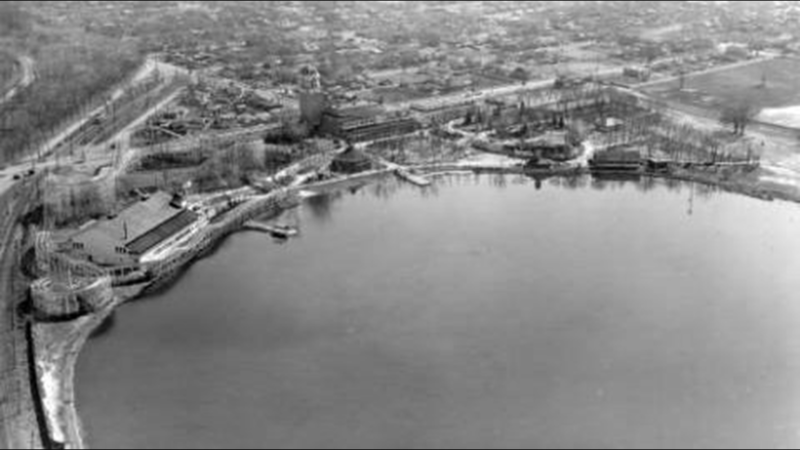 The roller coaster, ballroom, Casino Tower, casino, tea room and lake (Lake Rhoda) are shown.